Digimon, Digimon Adventure Tri, Digital Monsters, and all related characters and intellectual property belong to Bandai Namco, Toei Animation, and any other person or entity they belong to not explicitly named here. This video is a review and uses clips to illustrate our points; it is Fair Use by law and in practice in both Canada and the United States of America. 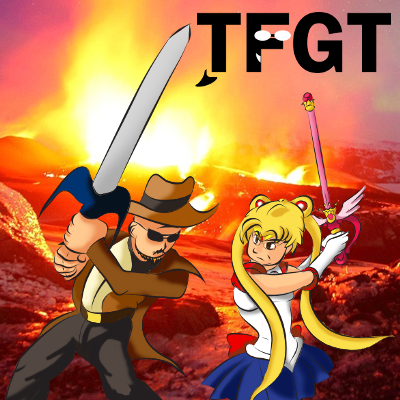 Questions/concerns should be directed to tfgtg2@gmail.com with the subject line "Re: Digimon reviews." AFTER 99 SUNSETS TWO FAT GUYS "DAVE" AND "CARLOS" MAKE TO DO 100TH EPISODE MOST WELL, INVITE PAST GUESTS AND FRIENDS "PO" AND "KIKI" FOR GLORIOUS NATIONALITY. TO MAKE GOOD THE 100, "DAVE" AND "CARLOS" EMPLOY TACTICS TO MAKE WHAT IN TWO FAT GUYS? INDEED, QUEST FOR POWER IS BEGIN THE STARTING. FURIOUS LOVE LIVE ON MOISTLY! 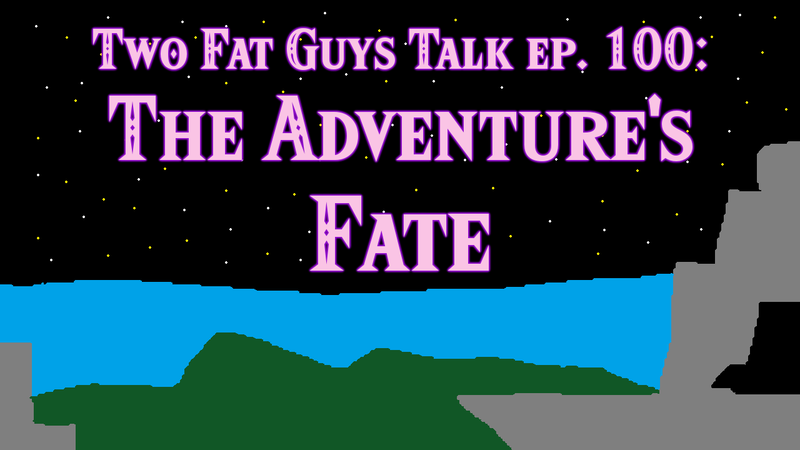 LAST CALL for voicemails to be played and answered on the 100th episode of Two Fat Guys Talk! You have roughly 6.5 hours left before we record. Don't miss out on the chance to be featured on what Time Magazine calls "stop calling us we don't care about your podcast!" Click Send Voicemail on the right to get started. Send us voicemail for Two Fat Guys Talk episode 100! 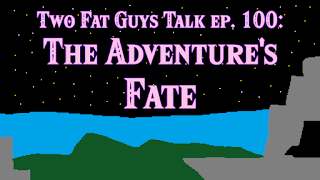 Reminder: this coming weekend we record the 100th episode of Two Fat Guys Talk, and YOU can be a part of it! Simply click Send Voicemail on the right to send us a voicemail that will be played on the show and answered. Time's running out, so make sure we get that voicemail by Saturday morning. Make history on the podcast that tens of people call "meh, it's okay." Stump Day and Holiday Spellcial offer some downtime after the plot- and revelation-heavy Monster Bash, but at least one fat guy isn't impressed. Carlos and Dave react to and review the Nov-Dec 2017 Steven Bomb!